Congratulations WASHINGTON on approving R74!! And now you are ready! It is important to publicly share your life-long commitment to a loving relationship with each other in the presence of your family and friends. Be it in the quiet of your home, a venue with a scenic view, or on the shores of the Sound, we can design a meaningful and memorable Wedding ceremony together. I am especially pleased to officiate at the Weddings of gay and lesbian couples, because I believe that the boundaries of Love cannot be regulated. Serving all equally and without judgement is my work–no matter your lifestyle, faith, color, or ethnicity! We’ll collaborate to create your distinctive and memorable ceremony! 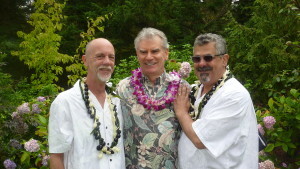 You may choose to have a short and sweet Elopement style wedding. Complete the online contact form for more information. 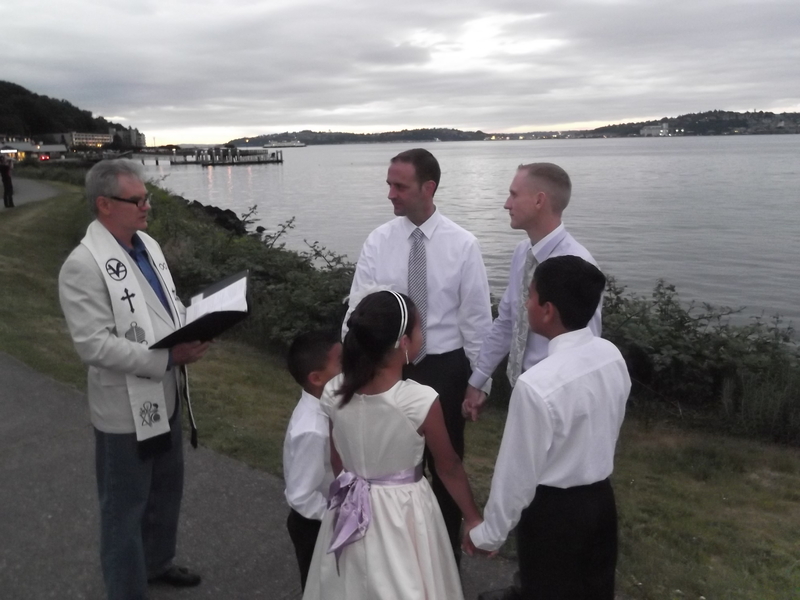 The one and only Seattle area Officiant supporting the LGBT community through the Greater Seattle Business Association membership the past three years! Francis, what can I say? Every aspect of the ceremony was wonderful. We so appreciated your help in putting the ceremony together, your outstanding personality that came through clearly during the more mundane parts of the ceremony, not to mention your support and humor that got us through the more touching moments, especially when Steve and I would loose it. You made us feel Special, at ease and even helped bring a little humor into the proceedings. 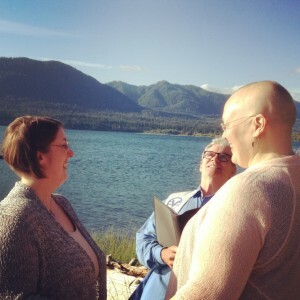 I doubt that many officiant’s could pull off a public ceremony such as ours and involve the growing number of bystanders the way you did, you were wonderful!